As any media relations pro can tell you, news doesn’t have a long shelf life. Announcements wither quickly, especially in today’s rapid-fire online environment. What was important minutes ago can be replaced in the blink of an eye by a stream of updates, tweets and blog posts. These days, when you have news to announce, the pressure is on to move quickly, hit hard, and to make sure you have all the bases covered. But what do you do after you’ve saturated all possible outlets? Even if you are luxuriating in the joy of a successful launch that has earned you a mountain of print and broadcast clips, how do you keep the momentum going so people keep paying attention to what you have to say? A recent effort by the Robert Wood Johnson Foundation to promote its County Health Rankings, the foundation’s second annual report with the University of Wisconsin’s Population Health Institute on overall health of nearly every county in the nation, shows how a blend of media relations muscle, combined with a strong online marketing push, can help get the message out and keep it in the public eye long after it stops being news of the day. 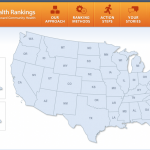 On March 30, the foundation released its health rankings report with a major national push that, according to Joe Marx, senior communications officer, generated more than 700 original news articles, including local stories and hundreds of reprints in all 50 states, and reached a broadcast audience of 46 million. Marx adds that this was nearly a 50 percent increase over the same announcement in 2010. Coverage ranged from print stories in The Washington Post and the Los Angeles Times to more than 900 television and radio clips to blog hits in mainstream sites such as TIME Healthland, ABC News, NBC Newsand PBS NewsHour. Additionally, an Associated Press article by Lindsey Tanner ran in more than 200 news publications nationwide, including Forbesmagazine, The New York Times, The Washington Post, San Francisco Chronicle, MSNBC.com and The Huffington Post. Beyond the impressive media numbers, the extensive coverage helped by driving significant traffic to www.countyhealthrankings.org, the website where the findings are posted. In the first two weeks following the release, more than 245,000 visitors spent an average of 3:58 on the site. But the story doesn’t stop there. Marx adds that in 2011, the foundation’s online marketing efforts focused “on bringing in a steady stream of high quality visitors to the County Health Rankings website” after the launch period. 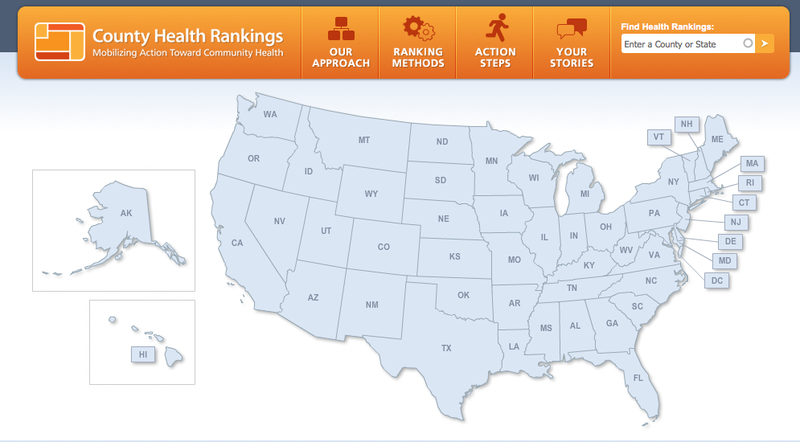 As RWJF’s results show, a successful media launch doesn’t have to end there. It can be the start of something bigger.